Some of the Southwest’s finest artists will come together to celebrate their Native American cultures and showcase their wares during Bazaar del Mundo’s Santa Fe Marketplace, Sept. 18 to 20 in Old Town. Guests will enjoy an unforgettable weekend filled with exquisite collections of fine jewelry, art, hand woven rugs, Pendleton blankets and more. 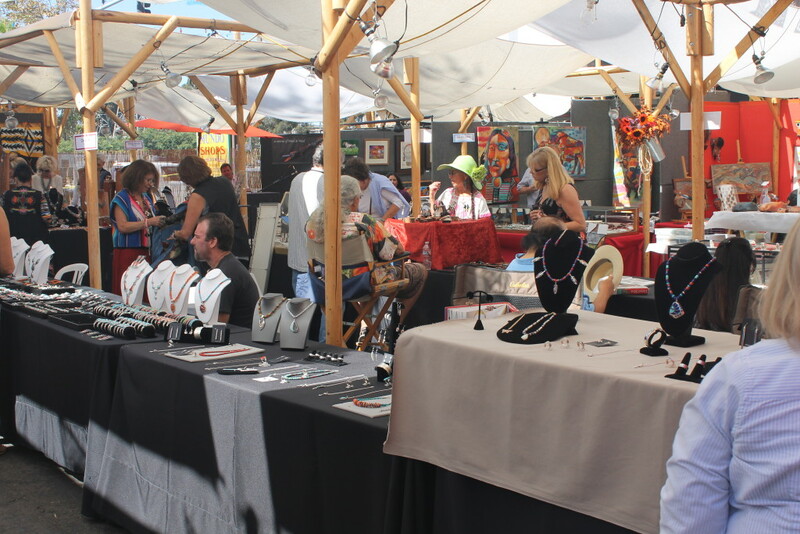 The annual event, held at Diane Powers’ Bazaar del Mundo in Old Town, is San Diego’s prime destination for stunning and authentic Native American jewelry, colorful collectibles, creative fashions and unique home décor. The festival is a colorful outdoor marketplace featuring Navajo, Cherokee, Hopi, Pima, Isleta Pueblo and Santo Domingo Pueblo creations, presented by tribe members, along with other noted Southwestern artists demonstrating and selling their wares. Circle JW’s Jack Whittaker works with Navajo jewelers to create beautiful silver rings, earrings, necklaces, cuff bracelets and pendants inlaid with turquoise, spiny oyster, sugilite, gaspeite, lapis, onyx and many other gemstones. Bernie Granados, Jr., with roots in both the Apache and Zacatec tribes, is a multi-talented artist who works in a variety of mediums – embossed acrylic paintings, watercolor, Prismacolor pencil, wood carvings, ceramic and bronze. His art features beautiful images of horses, buffalo and ancient ancestral figures. The event runs 10 a.m. to 8 p.m. Friday and Saturday, Sept. 18-19, and 10 a.m. to 5 p.m. on Sunday, Sept. 20. This entry was posted by The Bazaar del Mundo on September 15, 2015 at 6:55 pm, and is filed under Events. Follow any responses to this post through RSS 2.0. You can leave a response or trackback from your own site.